Welcome to Love of Beach! 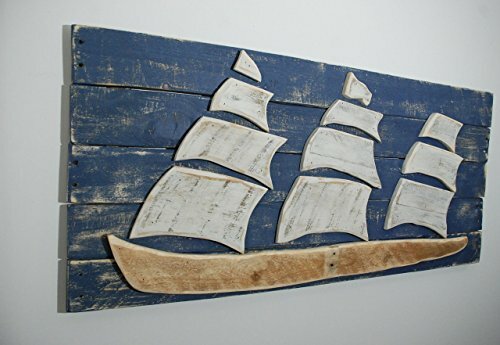 This unique Ship/Sailboat is made with wood on wood from reclaimed wood. It has all the nail holes and cracks for added charm. Dimensions: 38x17"
If you have something in mind for a custom order, please do not hesitate to contact me. We would be happy to help create what you are looking for! Check out my other listings! If you have any questions about this product by Loveofbeach, contact us by completing and submitting the form below. If you are looking for a specif part number, please include it with your message.